Our narrator. 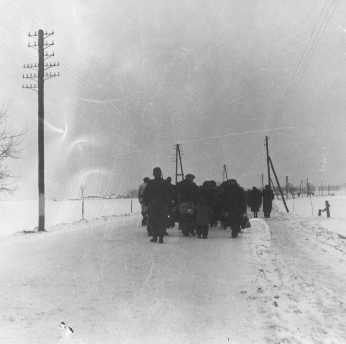 At 14, he is taken to concentration camps in Czechoslovakia and Germany. He is very devout in his faith at the time of being taken captive. Throughout the story, he tries to stay with his father. Eliezer's father is very respected within his home Jewish community. 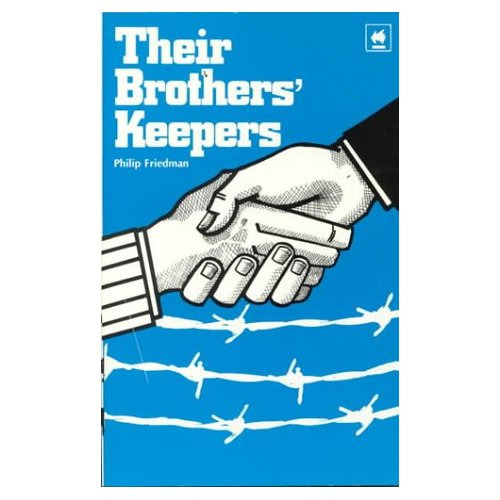 He is fifty years old and he and Elie try to stay together in the concentration camps. A poor guy who teaches Elie the cabbala and is the first in Elie's life to witness the horrors of the nazis. Nobody wants to believe him. Eliezer's seven-year-old sister. Elie is very close to her and he dedicates the book to her. An old Gentile (non-Jew) servant of the Elie's family. She offers to hide the family in the country, but they decline her offer. Madame Schaechter is in the same train car as Eliezer during the initial deportation to Auschwitz. She loses her mind during the journey and screams hysterically and repeatedly about a flaming furnace that she apparently sees in the distance. She terrifies the other occupants of the train, and she is repeatedly beaten by young men trying to silence her. She is foreshadowing in real life. The SS officer who decides who is to go to the crematories during selections. Eliezer sees him twice, once upon arrival at Birkenau and again at Buna. He is related to the Wiesel family. He wants to hear news about his family and Elie lies to him to make him feel better. This makes us question when is it OK to lie? A fellow prisoner who plays the violin. The Polish foreman of the musician's block at Buna. He is the guy in the gold crown incident. Brothers who are Elie's friends in the musician's block at Buna. A German Jew who is head of the musician's block at Buna. He is very kindly and tries to give his charges extra soup whenever he can. The mean Kapo of the musician's block at Buna. A very devout Jew who loses his faith..
A young man who had worked with Elie. A rabbi. He is important because of the relationship he has with his son and how it compares to Elie and his father. A friend of Eliezer's father who worked in the garden at Buna. I got a good portion of this from Grade Saver. You can check it out to get a more detailed character summary. Fascist - a radical political party that promotes national and sometimes racial ideals above all. Death Head Emblem - This is the emblem of a particularly nasty group of Nazis. Heinrich Himmler was put in charge of the concentration camps. 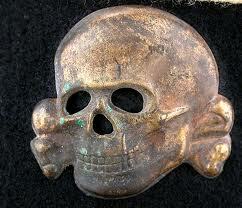 He took SS soldiers and formed the Totenkopfverbande, also called the Death's Head Units, because of their emblem. 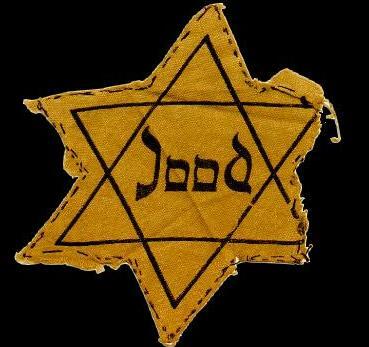 Elie mentions that all Jews must wear yellow stars. This was done to identify Jews and humiliate them. The fact that they so easily accept this in the book is a statement on how the Jews allowed themselves to be conquered. This particular emblem was chosen because the star, when drawn with two triangles, is a popular Jewish symbol known as the star of David. What political party came into power in Hungary? Jews are not allowed to own _________. What must all Jews wear? After the big Jewish Council meeting, what did Elie's dad say was going to happen? What does Elie see his father do for the first time? What does Martha offer them? * What nasty thing are people doing in the synagogue? Do you think we will see Moché again? What is important about this chapter? The Jews are being treated like animals and are starting to act that way. You can see this by the what the young people are doing in the cattle cars and how they treat Madame Schachter. Madame Schachter is a prophet of sorts. She sees the flames in her mind before anyone else in the car even knows about the furnaces. A key line comes right after someone reads the name of the camp, Auschwitz. "No one had ever heard that name." This is late in the war. The Germans have been doing this for years now and people did not know it (although the argument could be made that Moché the Beadle had warned them, but no one would listen). After reading Chapter 2, we watched this interview of Elie Wiesel by Oprah Winfrey. It is extremely powerful. If you missed class, you need to watch this. I suggest you watch it with your parents. Each part is about 10 minutes long with part 6 being only 4 minutes. Elie meets Dr. Mengele - the Angel of Death. See the right side bar for more information about who this man was. He is the guy who believes Elie's lie about being 18 and moves him to the work force. Elie is changing some. His father gets hit and he does not move to help or avenge him. He hates this change. He also starts to doubt God's justice (but not God). Elie notes that he does not react to something that he would have a day ago. It makes him mad that he has changed this way. What is it? How many share a bunk? What goes on the left arm? What does Elie lie about (besides age and occupation)? Does Elie believe his mother and sister are alive? What part of Auschwitz do he and his father go to at the end of the chapter? * What is the literary term for repeating "Never" seven times in the monologue about forgetting? 100 team points to the first person to translate the gate words. You must send it to me in an e-mail. Answer these questions while you read. Turn these in for a grade. The assistant to the head of his work group promises to put Elie in a good unit with his father. What does he say that Elie has to pay to get this favore? What are the dentists looking for? What is Louis complaining about? Why was the dentist hanged? Why does the girl come to Elie's aid after he is beaten by Idek? Elie says Franek knew his weak point. What is it? What is used to remove Elie's gold crown? What does Elie see Idek doing? Who dies that makes people question where God is and makes Elie's soup taste like corpses? Students! Today only you can get extra credit by e-mailing me the definitions of the words below in bold and by7 looking up Yom Kippur and Rosh Hashanah. Put the holiday descriptions in your own words (no cutting and pasting) and tell me how it is traditionally celebrated and what is the purpose fo the holiday. What holiday is Elie observing when he questions God's loyalty to the Jews? "This must be how one stands at the last judgement." Elie says this while waiting for selection. How are they standing? What famous nazi is conducting the selection? Does Elie get his number written down? When Elie dreams of a better world, it has no ____ in it. What advice does Akiba Drumer give Elie? Why is Elie in the hospital? 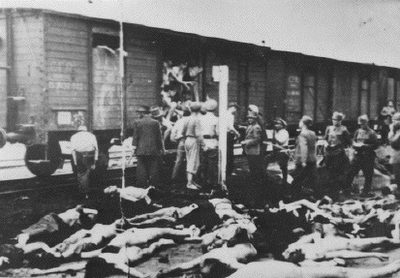 What are the Jews told to throw out of their cattle car? What almost happens to Elie's Dad? What is being thrown into the car? What is the point of the story of the Parisienne woman? Who kills the old man? How many survived the train ride from Elie's cattle car? Night Assignment # 1 - When this is assigned, you will need to make a copy of it and share it. WWI was a nasty war. Chemical weapons were used, trench warfare was common, it was the biggest war anyone had ever seen. It was just awful. It ended with the Treaty of Versailles (which USA never signed, by the way). It is what happened next that led to WWII (also known as WWI: Part 2 - Germany Strikes Back). This was very hard on Germany. They felt like they were not in the wrong and so this was embarrassing and costly for them. When Adolf Hitler came to power, he said, "Screw the Versailles Treaty," (loosely translated) and began building up the military again. Hey, who wanted to step back into a big war to stop them? England, the Soviet Union, Italy, and France formed a loose alliance to keep their eyes on Germany, but it was a weak alliance and nobody really tried hard to live up to it. Italy got a new leader with a jerk named Benito Mussolini who wanted to create a New Roman Empire. The United States of America just wanted to be left alone and did their best to ignore what was going on in the rest of the world (this is called isolationism). They had a great decade (the Roaring 20s) followed by a very hard one (the 1930s - the Great Depression). China's ruling party, the Kuomintang, tried to unify all the warlords that had been running crazy, but got caught up in a civil war against the Chinese communists. Japan decided it wanted to be the end-all-be-all in Asia and invaded Manchuria. China and Japan fought several small battles and finally made the Tanggu Truce. With all this going on in the world, things start to fall apart. Italy and Germany start to get along. Germany supported Italy's invasion of Ethiopia, and Italy said it was OK for Germany to grab Austria. Then Spain had a civil war and Hitler and Mussolini sort of jumped in to test out their cool new weapons. 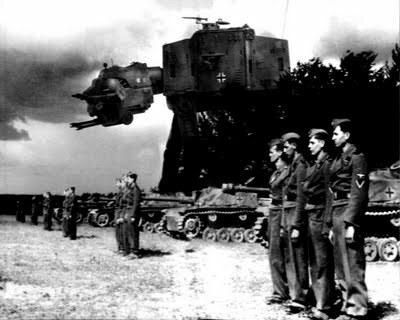 O. K., they didn't have Nazi AT-ATs, but it looks cool anyway. Now everyone is getting mad at each other. Germany and Japan both think that the Soviet Union was a threat to both of them, so they joined forces. Italy jumped in on that too. They were known as the Axis powers. The other side didn't want to work together and as a result, the Axis started invading places. Germany picked up several smaller European countries and Japan began trying to take over all of the Pacific. 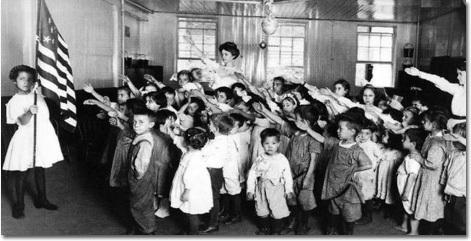 This was the nastiest of the concentration camps. 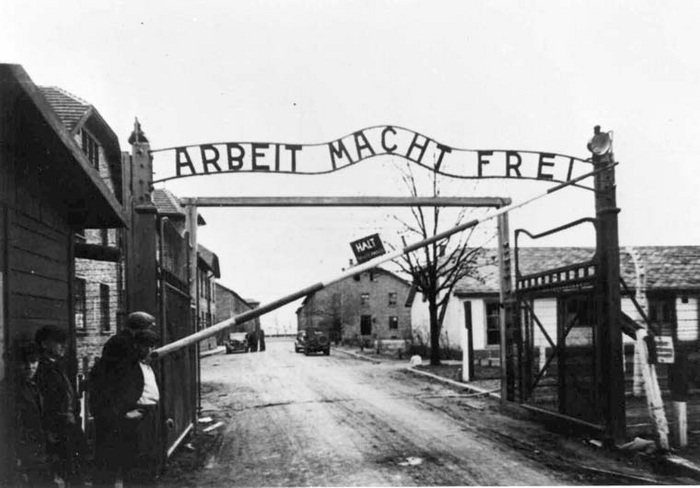 You will sometimes see it called Auschwitz, Auschwitz-Birkenau, or just Birkenau. The camp is called Auschwitz, but Birkenau is a part of the camp where gassing took place. 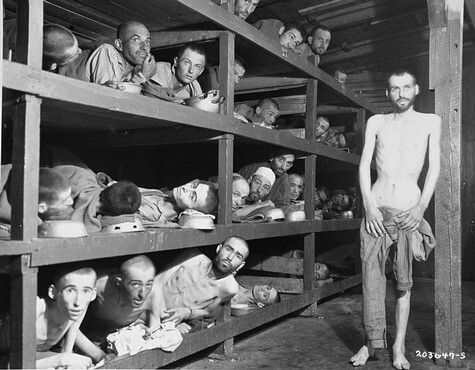 This is a very famous picture of Elie Wiesel in the concentration camp. You can barely see his head (seventh from the left on the second bunk). You can click the picture to see it bigger. Who are the others? Click here for all of their names. Mikos Gruner claims that Elie Wiesel is an imposter and is not the guy in the photo. You can read his claims here. I believe Elie is who he says he is and if I even had doubts, the interview with Oprah would have changed them for me. 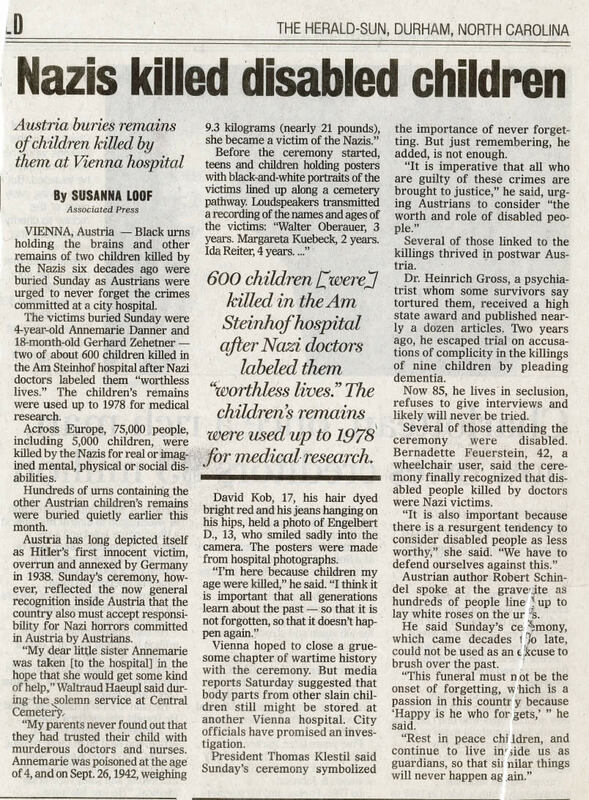 Dr. Josef Mengele was nick-named The Angel of Death. Elie meets him in chapter 3. His is well known for his experiments. He loved to experiment on the Jews, especially twins. He would run his experiments on one twin until he or she died, then kill the other one to run autopsies on them. He never faced criminal charges for what he did. After the war, he fled to Italy and then Argentina and continued to stay on the move until he had a stroke while swimming and drowned in the 1970s. Nobody knew it was him until some Nazi hunters found his remains in the 1980s. Top 10 Most Evil Humans- Three of them are Nazis. Another one was on the Allied side during the war. 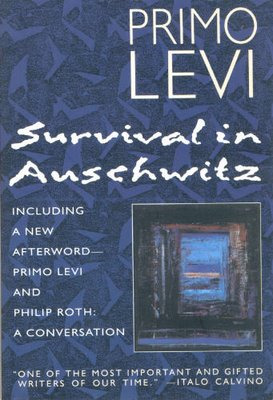 This book is by a guy relating the story of his father, who survived the Holocaust. 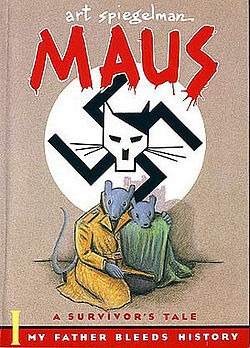 It is a graphic novel and he makes the people different animals. The characters are animals. Each animal represents a nationality. List all the animals and tell what nationality it represents. There are six chapters. Write six study questions for each chapter. After reading, come up with three questions that you would like to know the answer to (based on what you've read in the book). If you bought a copy, I'll give you 400 team points for donating to the classroom. 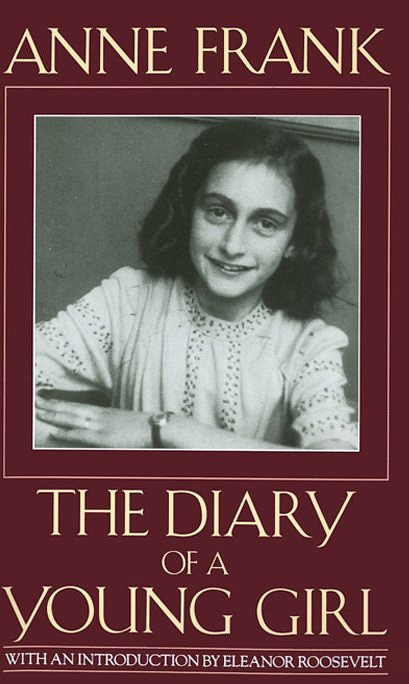 The actual diary of a young girl named Anne Frank who survived the holocaust. The author is known as the Father of Holocaust History. This is not a novel, but a collection of accounts from different people. This guy survived because he was useful to the Nazi for his science skills. Jews are forbidden to display the Reich and national flag or the national colors. Get an extra quiz grade for researching this photo (or any one like it) and explain why the kids are heiling the American flag (yes, it is an actual American flag). You must also give the MLA of the source you got this information from. You may use any source (internet, book, other person), but you may not use each other. 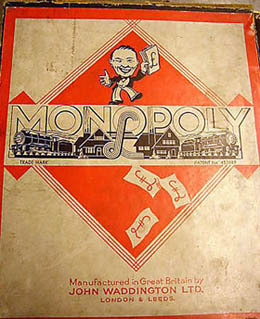 How did this board game help British POWs escape? If nothing else, watch from :55 to 2:20 to hear from a worker in the camp when he was asked if he felt it was unfair that so many of his victims struggled with poverty after the war while he, who was a part of the Nazi machine, had so much success.